In this article I am going to explain how to install Atom text editor on Linux Mint 18. Atom Editor is an Advanced Text Editor and if you are looking a good Code editor for your Linux Mint Desktop, Then Atom is the best. Go to https://atom.io website and download the latest Atom .deb package for Linux Mint. Save atom .deb package to your computer. After the download is finished, we can install the .deb file using the GDebi package installer. Right click on the downloaded atom .deb file and select Open with GDebi Package Installer. In the Package Installer Click on the Install Package Button to Install Atom Text editor on Linux Mint 18. After the Installation is finished, You can open the Atom Editor From the Linux Mint Start Menu under the Programming subcategory. Ok! 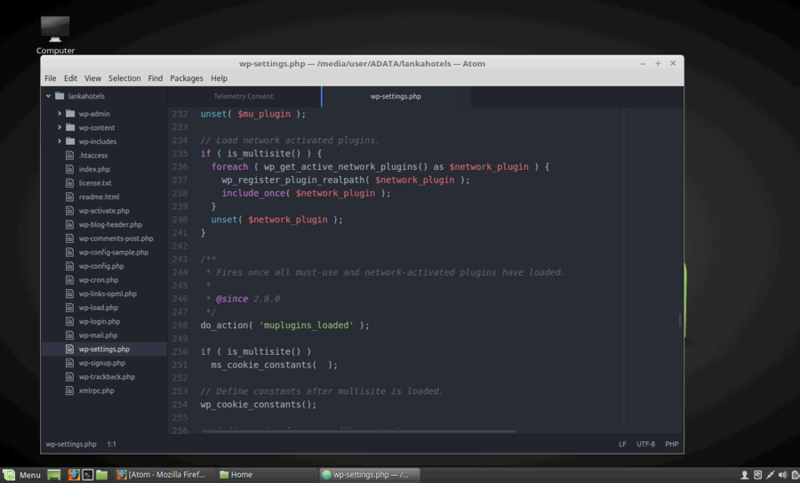 Now you have installed Atom Text Editor on Your Linux Mint Desktop.